Dr. Frank H. Valone III, a Bay Area native, first became dedicated to medicine through his work with Operation Smile, a non-profit organization dedicated to the delivery of free pediatric surgery throughout the developing world. Upon his return from East Africa, Dr. Valone attended medical school at George Washington University, where he was inducted into the Alpha Omega Alpha and Thalamus Honors Societies, was a recipient of the Paul Dewitt Surgery Award and was selected as a Gill and American Brain Tumor Association Fellow. 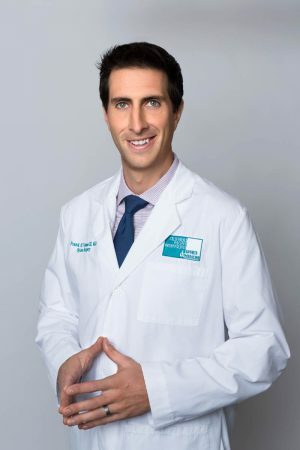 Dr. Valone completed his spine fellowship in Adult and Pediatric Spine Surgery at Washington University Medical Center and Columbia University Medical Center under the guidance and mentorship of Drs. Keith Bridwell, Daniel Riew and Lawrence Lenke. Dr. Valone has advanced training in all aspects of spine surgery, but has a special interest and expertise in cervical spine surgery as well as minimally invasive and reconstructive spine surgery. He believes in a comprehensive approach to patient care and works with all members of the medical team to treat spinal problems conservatively before considering an operation. If surgery is necessary, he will perform spine surgery utilizing the safest and most effective techniques in a manner that is tailored for each individual patient. Dr. Valone has authored more than 10 peer-reviewed research articles, 3 book chapters, and given more than 20 podium and poster presentations at national and international conferences. He has been awarded the Pediatric Brain Tumor association young investigator award and the Inmann-Abbott research award for his original research. Dr. Valone was formerly a firefighter paramedic. He enjoys alpine mountaineering, endurance running, fly fishing and skiing.